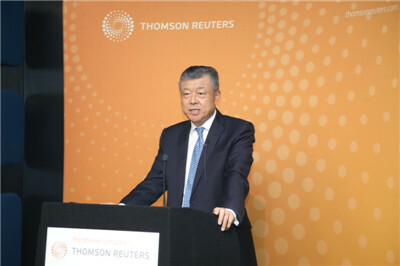 It is a real delight to join Thomson Reuters and Standard Chartered in this most timely discussion on how to unlock the Belt and Road investment opportunity. 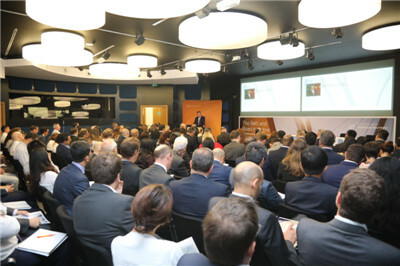 Over the past few years, I have been invited to speak on the Belt and Road Initiative at many eponymous events hosted by British think tanks, companies and media. I am pleased to see the understanding of the BRI in Britain increasing and China-UK cooperation on this Initiative showing an encouraging momentum. This year marks the fifth anniversary of the BRI. The past five years have seen this Initiative producing fruitful outcomes. China and 88 countries and international organizations have signed 103 documents for cooperation on the BRI. Why has the BRI become so popular in such a short period of time? I believe this is because the BRI is an initiative for peace and development and it upholds the principles of extensive consultation, joint contribution and shared benefits. First, the principle of “extensive consultation”. It means treating each other as equals. The BRI is a public good proposed by China. Its benefits can be shared by the whole world. In BRI cooperation, we do not believe in “putting one’s own country first”. From drawing blueprints to project implementation, all participants are equals and the whole process is open and transparent. Everyone is entitled to the opportunities. And everyone should join in to build a future of development. Second, the principle of “joint contribution”. It means being open and inclusive. The BRI represents a major step to open up China wider to the world. This is an open platform. It is not forced unto anyone, nor does it exclude or target against any country. Rather, it is a courageous exploration of paths to cooperation and common development. In this process, it will strive to make progress, seek improvement and grow through cooperation. The BRI is a strong voice against surging anti-globalization sentiments, unilateralism and protectionism. It is a driving force for the building of a community with a shared future for mankind. Third, the principle of “shared benefits”. It means win-win cooperation. There has been a boom in trade and investment between China and countries along the route, with trade exceeding $4 trillion and investment topping $60 billion. China has built 75 economic and trade cooperation zones with 43 countries along the routes. Nearly 3,500 companies have moved in. They have paid $2.2 billion in tax and fees to host countries and created over 200,000 jobs locally. Since 2013, over 8,000 China Express Railway trains have traveled between China and 42 cities in 14 European countries. They are now running on a regular basis, delivering goods to thousands of homes in China and Europe. All in all, the BRI has created new opportunities for win-win cooperation and provided new driving forces for world economic growth. Last year, Chancellor Hammond attended the Belt and Road Forum for International Cooperation as Special Envoy of Prime Minister May. 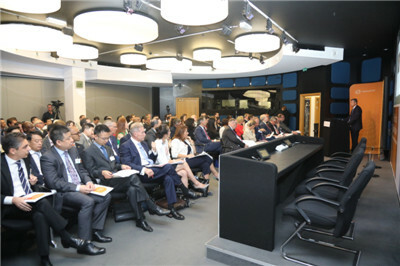 He said at the Forum that Britain is a “natural partner” for China in advancing the BRI. China and the UK are “natural partners” because our economies are inherently complementary. But to deliver real benefits, we still need to work hard and work together. In my opinion, there are three things we need to do in order to take China-UK cooperation on the BRI to a new level. First, we need to break new grounds for an open world economy. Currently, the United States is provoking “trade war” around the world, posing a severe challenge to world economic order and the multi-lateral trade regime. Both China and the UK uphold economic globalization and trade liberalization. It is important that we stand together against protectionism. In this coming November, China will host the first International Import Expo. This will be an important measure to further open up China’s market to the world. We welcome the UK to the Expo as a Guest of Honor and I hope the UK will contribute its part to an open world economy. Second, we need to create new highlights in financial cooperation. Standard Chartered has taken the lead in BRI-related financial cooperation. It has signed an MOU with the China Development Bank on 10 billion RMB yuan of credit extension for BRI projects. It is also expected to provide at least $20 billion in financing support by the end of 2020. The British financial sector has a unique competitive edge. The opportunities to enhance cooperation with China are up for grabs. Asset management, banking, capital market, insurance and old-age pension are some of the areas where China and the UK could strengthen cooperation. And we could work together to create more highlights in green finance, fin-tech and inclusive finance. There is also huge potential for China-UK cooperation in a third market along the Belt and Road so as to provide financial services and guarantee for BRI development. Third, we need to contribute new ideas to the BRI. The BRI welcomes ideas and suggestions from all participants on how to achieve development of high-standard, high-quality and high-return. The British is known for their innovative spirit and insightful ideas. I hope to see more in-depth and insightful discussions on the BRI in Britain, just like what we are having today. While wishing today’s forum success, I hope it will sow the “golden seeds” for deeper and more productive cooperation between China and the UK on the BRI. I hope this seed will grow and yield more “golden fruits” in the China-UK “Golden Era”.